Joseph Mott is a registered patent attorney with an advanced degree in civil engineering. He focuses his practice on intellectual property and technology issues. He prepares and prosecutes: U.S. utility and design patent applications and their international counterparts; federal, state and foreign trademark applications; and U.S. copyright and mask work applications. Joseph represents clients in the licensing, purchase, sale, and securitization of intellectual property and technology. He helps develop and evaluate intellectual property strategies and secures patents in the mechanical, software, information technology, optics, chemical and bio-chemical arts. He has represented manufacturers, distributors, and start-up enterprises in a variety of technology transactions and licensing matters. 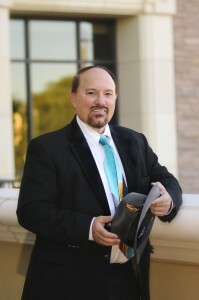 He also has represented biotechnology and life sciences clients in various intellectual property matters, including both provisional and regular patent applications on medical devices, treatment technologies and diagnostic methods, material transfer agreements, grant and sub grant agreements, research agreements with industry, and commercial evaluation of a number of disease control formulations and proposed medical devices. Joseph also provides antitrust counseling to clients. He has advised physician groups, hospital organizations, construction trade associations, and other industry groups on the antitrust implications of proposed combinations and agreements to further their business objectives. He also has represented clients in the documentation of confidentiality agreements and covenants not to compete, and their enforcement where necessary. Joseph has experience in the litigation of patent, copyright, trademark, trade secret, unfair competition, antitrust and technology-related commercial and contract causes. He served as Law Clerk to the Honorable Mary M. Schroeder, Arizona Court of Appeals, 1976-1977. He has been selected for inclusion in Best Lawyers in America® (2014, 2013 and 2012 editions) in the areas of Patent Law, Trademark Law and Copyright Law. Defended minicomputer warranty litigation; Defended product liability cases. Represented a semiconductor company in antitrust litigation involving tying of operating system software to hardware and in defense of trade secret litigation and microprocessor design. Represented large computer seminconductor companies in actions to protect against loss of trade secrets. Represented larger computer company in copyright infringement litigation involving operating system software and graphical user interfaces. Represented clients subjected to audit by Business Software Alliance and Software Publishers’ Association, and sued for infringement by large computer software company.